Most often, commercial general liability insurance is written on an occurrence basis while employee benefits liability, professional liability and employment practices liability insurance will be written on a claims-made coverage form. On an “occurrence” policy, the coverage trigger is the date of the event or accident giving rise to a claim. The policy in force on the date of the event causing the loss must respond with both defense and/or indemnity. Even if a claim arises years after a policy has expired, the date you receive notice of the claim doesn’t matter. Occurrence policies do not provide coverage for prior acts. They do remain available for claims that arise years after a policy term has expired, however. If an accident or event occurs during the term of an occurrence policy, that policy must respond to any future claim. As for claims-made policies, coverage is triggered by the date you first became aware and notify the insurance carrier of a claim or potential claim. The carrier’s policy in force on the date you became aware and give notice is the insurer who must defend and settle the claim. A claims-made policy may reach back in time and provide coverage for claims made today from negligent acts, errors or omissions that occurred years before the policy was purchased. 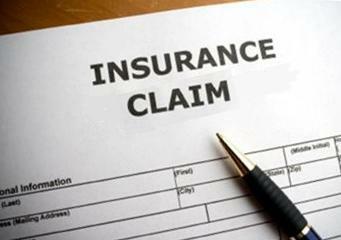 You must receive notification of a claim or potential claim situation during the policy period. The negligent act, error or omission giving rise to the claim must occur after a “prior acts” or “retroactive” date listed in the policy declarations. You or your firm had no prior knowledge of a mistake, error or controversy on the date coverage was purchased. The “prior acts” or “retroactive” date is a crucial piece in a claims-made policy. Your policy declarations page will clearly identify a “retroactive” date that determines how far back prior acts coverage extends. Claims resulting from services rendered before the “retroactive” date are not covered. If you purchased a claims-made policy with an effective date of January 1, 2010 and chose to cancel or let the policy lapse without TAIL coverage or an Extended Reporting Period — any claims made after December 31, 2010 would not be covered. If you were sued in 2012 for a wrongful act committed in 2010 (during which time you were covered), the insurance company would not be responsible for paying any claim. An Extended Reporting Period Endorsement (TAIL) “extends your right to report a claim” to your prior insurance company after the policy has ended, canceled or lapsed.